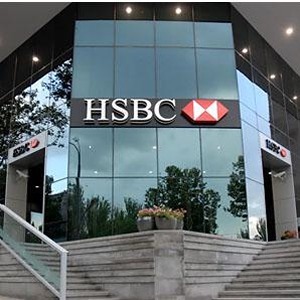 This week’s announcement by HSBC of the extent to which they are circumventing European Union rules limiting bankers’ bonuses provoked more than usual outrage. Under new EU rules, bankers’ bonuses are to be restricted to 200 per cent of their annual salary (half of which is to be subject to shareholder approval). Most of us would be delighted to take home three times our contracted pay packets each year, but this has evidently proved insufficient for HSBC and its leading lights. On top of his £1.2m annual salary, HSBC boss Stuart Gulliver is to be paid £1.7m in ‘fixed pay allowances’ to cushion his pay packet should the banks’ performance threaten his bonus package. Either way, he is still in line for a £1.2m+ bonus on top of his fixed pay allowance. In other words, if HSBC wins then so does he. But should they suffer a downturn, he is still rewarded. Gulliver is but the tip of the iceberg in an institution where over 1,000 employees are set to receive such fixed pay allowances. HSBC haven’t so much circumvented rules on bonuses as driven a coach and horses through them. To be fair to Mr Gulliver, this is not an issue unique to him or his bank. And as the Guardian recently reported, Robin Hood Tax campaign research shows City bonuses handed out since the crash will smash the £80bn barrier this year. Thus far, they have been paid at an annual average of £13.5bn since 2008/9. To put this into context, financial services – maximally interpreted – make up 9 per cent of our economy, yet in a period where one might hope they would show if not contrition then at least restraint, they have paid 37.5 per cent of all UK bonuses. Exorbitant reward for middling or worse performance is commonplace – earlier this month Barclays increased its bonus pool by a third after a 10 per cent fall in profits, whilst just today taxpayer owned RBS has announced a £588m tranche of bonuses after £8bn of annual losses. The City may project an image of ruthless competence, but this is not entirely true. The ruthlessness we have all seen, the competence is questionable. While banks have been carrying on with bonuses as usual, the activities of the financial sector have become increasingly divorced from the real economy. The past five years have seen a contraction of lending to small businesses and would-be property owners. They have seen house construction decline as builders struggle to raise capital. Meanwhile, the trading of OTC interest rate derivatives in the UK increased to an eye-watering $1,348bn a day, an increase of 566 per cent since 2001. We hear much talk of our government overspending and the need for cuts, but it is worth saying that – each and every day – a figure higher than our government’s annual expenditure sloshes around our markets in interest rate derivatives alone. This matters because it shows our financial system is still not geared towards sustainable, productive investment but instead continues to reward those chasing a fast buck. One suggestion to tackle this culture of largesse has been to repeat the tax on bankers’ bonuses; but there is nothing to stop banks following HSBC’s example and replacing bonuses with allowances. Nor would a bonus tax address speculative trading or address the fact that a state-subsidised sector is able to hand out such rewards. Fortunately there is a ready-made alternative. A Financial Transaction Tax, as pursued by eleven European countries including Germany (led by that arch lefty Angela Merkel), would tackle both such issues. In levying its tax at the point of transaction there could be no post-facto massaging of figures to lower a bank’s tax payment. In hitting some of the more dangerous financial bubbles – including the aforementioned derivatives – it also starts to change banks’ culture. It would raise £20bn per annum in the UK according to the IPPR. We don’t want to end up like Bill Nighy’s banker in the latest Robin Hood tax film, ruing the opportunity to raise serious money, and ignoring the voices of ordinary people who have and are signing a million strong petition to back the FTT. HSBC’s mammoth payouts show there is a real case for taxing bankers’ bonuses. But they also suggest we should look at tackling the systemic problem at its source – their transactions. Am I missing something? Are these bonuses not going to be subject to income tax at 45%? Of course the banks could not pay them, resulting in increased profits which would be taxed at…23%. Always crying about capitalism. Should have studied business instead of journalism.